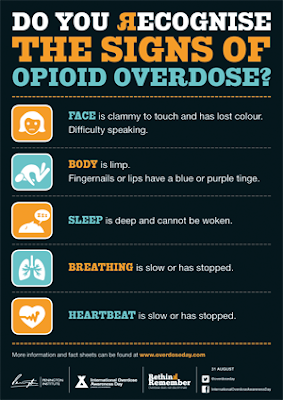 On December 15th in British Columbia, 13 people died of a suspected drug overdose. That unprecedented number prompted the B.C. Coroners Service to issue an “urgent” warning for drug users, asking them to exercise extreme caution. The recent surge in deaths over and above the increase that fentanyl has brought has prompted authorities to acknowledge that something has changed. A spokesperson for the B.C. Coroners Service said that “about 10” deaths that occurred in the past four months “looked like a drug overdose” but toxicology reports came back negative. That could mean that the killer is carfentanil. The Provincial Toxicology Centre, where the coroners service sends samples from suspected overdoses, presently does not know how to test for it. 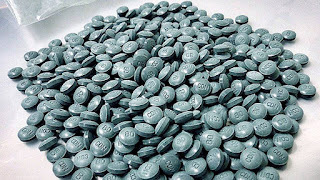 Meanwhile Vancouver Coastal Health has reported 82 percent of substances purchased as heroin tested positive for fentanyl from July 7 to October 31. The total number of fatalities in 2016 is expected to exceed 750. 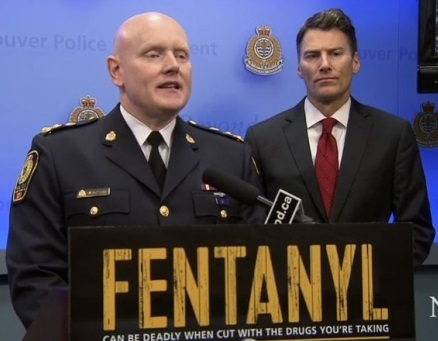 Vancouver's police chief says the fentanyl crisis hit a brutal low point Thursday with the overdose deaths of nine people in a single night. 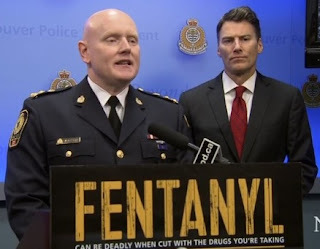 Flanked by Mayor Gregor Robertson and other emergency officials at a news conference, Chief Adam Palmer said serious help is needed to deal with a situation which is claiming lives at an alarming rate.